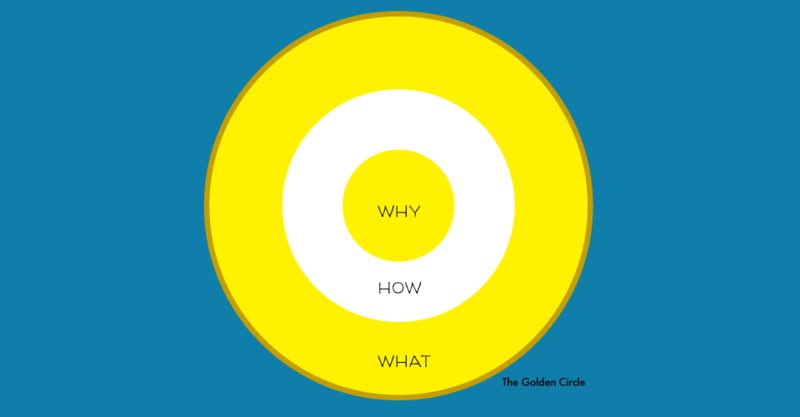 If you want a project to succeed, it is important to start with asking “why?”. People take action based more on their heart’s desire than a well reasoned argument. Both Walt Disney and Jonathan Edwards agree with that statement—any time they agree on something, it must be true. In this post you’ll read about one of the most simple and powerful tools for beginning the Start phase of any project. And in the summer of 1963, a quarter of a million people showed up to hear Dr. King deliver his “I Have a Dream” speech on the steps of the Lincoln Memorial. But how many people showed up for Dr. King? Zero. They showed up for themselves. It was what they believed. It was what they saw as an opportunity to help America become a better version of itself. Take a look at these ads, they come from this weeks issue of Business Week. I spent 2 minutes scanning the ads just to demonstrate how easy it is to find this type of argument used when pitching an idea—try to note the cadence that each of these ads uses—it starts with “what” moves to “how” then asks for an action “why”. Do you see how this in each of the ads this same cadence is used? Each of these ads is selling something that is essentially a commodity. The thing they’re pitching is only a solution to a problem that I may or may not have. They are not building trust, they are not aligning my goals and hopes and dreams with theirs. We just happen to make computers—wanna buy one? They just reversed the order of how they pitched their idea. Sinek summarizes the philosophy this way: “People don’t buy what you do, they buy why you do it.” In other words—get people on board by telling them “why”, move to “how” then tell them “what” you propose. Here’s the video that this is based on and I highly recommend you watching, and then sharing this post with some folks that you think would benefit.